Mobile phone is a very common source of communication in these days. Most of the people are using mobile phone in the city and the urban areas regularly. At present, six different companies are providing mobile phone services in Bangladesh. In compare to the big population it is becoming a huge market for mobile phone service companies. As part of my internship program I was associated with the Business Sales & Service (Corporate Sales) of Robi (Axiata Bangladesh Limited). In this internship report I have basically focused on the experience that I have gathered during my internship and the overall activities of Business Sales & Service of Robi (Axiata Bangladesh Limited). The main objective of this report is to describe the experience that I have gathered during my internship period and the over all activities of the Business Sales & Service of Robi. To give a clear idea about the Company- Robi (Axiata Bangladesh Limited). To get the understanding what the corporate sales is all about. To describe the activities of Business Sales & Service (Corporate Sales). To find out the effectiveness of the Corporate Sales of Robi. The scope of this report is limited to the descriptions of the company, its services, and its position in the mobile telecommunication sector of Bangladesh. Instead of concentrating in all the activities of Robi I mainly concentrated on the corporate sales of Robi. Project Design: At first I got the report design and structure from my academic supervisor and moved for the next steps. Data collection: To prepare this internship report I had to collect data both from primary and secondary sources. I followed various ways to collect data from primary and secondary sources. “Newsletter” of ROBI – publications for customer. Internal publications of ROBI for employees. Data Analysis: Finally, I have analyzed all those cohesive information to prepare the internship report. 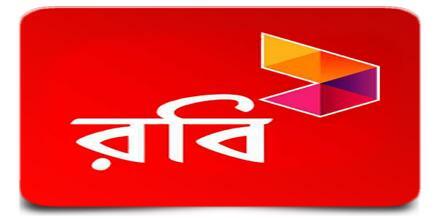 Axiata (Bangladesh) Limited is a dynamic and leading countrywide GSM communication solution provider. It is a joint venture company between Axiata Group Berhad, Malaysia and NTT DOCOMO INC, Japan. Axiata (Bangladesh) Limited, formerly known as Telekom Malaysia International (Bangladesh), commenced its operation in 1997 under the brand name Aktel among the pioneer GSM mobile telecommunications service providers in Bangladesh. Robi started its journey as a (AKTEL) in 1997, as a joint venture between Telekom Malaysia Bhd and AK Khan & Company Ltd. The AK Khan Group recently completed the sale of its entire shareholding of 30% in AKTEL to NTT DoCoMo. Axiata Group Berhad (70%) – Axiata is considered as the emerging leader in Asian telecommunication sector. It has its significant presence in Malaysia, Indonesia, Sri Lanka, Bangladesh and Cambodia. NTT DOCOMO INC- It is one of the leading mobile telecommunications service providers in the world and largest mobile telecommunications company of Japan. Being trustworthy by action. Being passionate and creative in all we do. Keeping things simple in the way we do things. Demonstrating individual and collective ownership. Practicing an open culture in communication and interaction. Vision of Axiata: “Axiata’s vision is to be a regional champion by 2015 by piecing together the best throughout the region in connectivity, technology and people, uniting them towards a single goal: ‘Advancing Asia’. Robi places a high value on human resource development and the contributions made by its employees. They preserve to maintain a productive and harmonious working environment in the whole organization. Robi always continues with its efforts to improve the efficiency of its employees and align them to the right positions with well-defined responsibilities. Because of the rapid expansions of its networks and enormous growth of its subscriber base, the company has increased its workforce. Robi has successfully hired some key senior managers who were recruited on the basis of their professional expertise and experience. In order to cope up with the dynamic nature of the company’s business, initiatives are always taken to restructure and recognize the company’s existing set up. It always evolves standardized management systems and procedures across functional divisions, focusing in particular, on the effective integration and assimilation of all the organizational units. Brand and A&P denotes to brand and advertising & promotion. This unit deals with the overall brand management and promotion activities of the company. The unit covers both outdoor (billboards, road-overhead etc) media and indoor (print & electronic) media. This unit is also responsible for communicating with the advertising agencies. Product development unit is like the R&D unit of a company, which is responsible for developing new products and services. This unit is closely related to the marketing research unit and together the units come up with new service concepts and ideas. Product development unit is also responsible for monitoring the core services (Pre-Paid and Post-Paid). Robi has one unit covering both marketing research and marketing information system (MIS). This unit conducts quarterly research through research firms and in-house interns. The unit is also responsible to keep track on the latest innovations and new offers of other operators. International roaming (IR) unit is basically responsible for ISD, international SMS etc services. The core task of this unit is to negotiate with foreign telecommunication companies and to expand the international coverage by making deals with them. Direct sales unit is responsible for the sales of products and services to the mass customers through the customer service centers. Robi has more than twenty customer service centers around the country and these centers sell the services to the customers directly. These customer care centers are known as Robi Seba. Dealer management unit oversees the dealers of the company around the country. Robi has many dealers and agents and they need to be monitored and supervised constantly. The core business strength of Robi is its network coverage all over the country especially Robi is the first telecomm company who provides network in Saint Martin Island. The technology division is taking care of all technological issues. The round the clock base station maintenance, emergency tech support team, online information backup system, server/workstation support intranet Support and intra office exchange mailing system are being run by this division. IT division constitutes seven units and they closely work together. Value added service is a unit that implements the developed concepts and ideas of the marketing division. The unit is responsible for the development of the software, which will be used for the application of the new services developed by the product development unit. Simultaneously, this unit handles the VAS content providers who are the third party to the company. The billing unit is responsible for processing and monitoring the billing systems for the PostPaid users. The unit has a manager who reports to the AGM of IT. This unit is responsible for charging the rates of Post-Paid service. The unit fixes per-minute and pulse rates and also fix the pulse durations. It also changes the rates on demand basis. This unit only deals with the Pre-Paid service. It administers the e-fill and scratch card systems. At the same time, it fixes per-minute and pulse rates and fix the pulse durations. This unit is responsible for designing and developing products and services. It develops the blueprint of the product-design. Billing operation team is responsible for administering the entire billing process and developing required software for collecting bills from Post-Paid users. This unit supplies required software to the customer care centers and work with these centers side by side. The centers usually inform CRM concerning their necessaries and the unit prepares suitable software for them. Financial division has eight units dealing with financial matters of the company. Corporate finance unit consists of treasury management and L/C. Treasury management deals with the inflow and outflow of the company, whereas L/C (Letter of credits) deals with the L/C opening banks and other foreign banks. This unit keeps track on the accounts payable of the company. This unit keeps track on the accounts receivables of the company while preparing the balance sheet. As Axiata Bangladesh Limited is a large company with thousands of financial transactions everyday, a unit to keep track on the accounts is necessary. Core account is an important unit of the finance division dealing with the budget and fixed assets. The annual budget of various departments is prepared under the close observation of this unit. Revenue assurance unit consists of revenue assurance and fraud management. Revenue assurance monitors the transactions and assures full protection of the finances. On the other hand, fraud management protects the fraudulences take place in the daily transactions. Taxation unit takes care of the tax, VAT and tariffs of the company. The reporting unit reports the entire financial transactions of Robi to the parent company in Malaysia. This unit forecasts the costing of different departments and resorts them regarding the expected expenditure of any alteration. The technical division consists of three major units – planning, infrastructure and property management. The planning unit makes plans regarding the technical matters such as the RF, SWITCH etc. They assure the proper placement of technical devices and equipments. The infrastructure unit selects the locations and builds the Base Transceiver Station (BTS) towers. They are also responsible for the maintenance of these towers. The property management unit manages the technical equipments and assets. The key responsibility of this division is to ensure sound public relation in terms maintaining corporate affiliation, brand promotion and communication with mass media. Ensuring strong position in the field of corporate social responsibility is another major issue that communication division of Robi is successfully dealing with. 20 dedicated Customer Care Centers, 24 hrs helpline along side numerous outlets inside the country are always ready to serve whenever the customer need. Robi’s customer care teams comprising of a vibrant experienced workforce aim at providing the customers with a complete quality experience that would make their customers feel unique and important. To sustain this experience, Robi always innovate through reliable systems, processes and procedures. As the one of the leading telecom organization, Robi currently has about around 2800 employees. All employees who are recruited on a permanent basis must undergo a period of six months as probationary period to ascertain their capability and suitability for employment and would be judged with a performance appraisal at the end of 5th month. On successful completion of probationary period employee shall be given a letter of confirmation. Human resource department is responsible for the recruitment and training of the employees of the company. They also monitor the performance and handle the promotion and salary related matters. Along with the HR department, there is an Administration. The administration is responsible for supplying furnishings and equipments to all the divisions and departments. They also administer the regulations of the company. The corporate strategy department determines the long-term strategies and the short-term plans. All the corporate level policies come from them and they are also responsible for the implementation. The corporate affairs department is responsible for maintaining a liaison with other major companies. Through this department, Axiata Bangladesh Limited makes business deals with other corporations and assists each other. An organization is like complex machinery consisting of different parts. Different functional divisions and departments are the different parts of this organizational machinery. Therefore, to make an organization a success, the divisions and departments must work accordingly. In Robi all the divisions and departments are closely tied with one another. Sales unit makes sales forecast, identifies market’s potential opportunity and sends it to the technical division for doing the plan for new coverage area. These two divisions jointly plan for increasing the coverage area. If there is any complaint regarding the networks Customer Relation Management unit informs it to technical division for solving it. Again Customer Relation Management Unit informs marketing division about the problems and suggestions regarding the products and their selling procedure. Finance division is related with al the divisions for fund allocation and fund management of all shorts and giving salary to all the Robi employees. Human Resource Department meets the employee need of other divisions by conducting total recruitment process. Robi always wants to achieve the desired sales growth and customer base and also wants to encourage the existing customers to use more of their services. Initially the target for Robi was to reach the top, but other mobile operators are also targeting to the grass roots level and thus increasing their customer base. Axiata Bangladesh Limited wants to be the leader with good quality and designing products for all classes of people. Necessary changes in tariff structure, and changes and terms and conditions. Wider distribution network to make service more accessible. The term competition defies definition because the view of competition held by different groups varies. Most firms define competition in crude, simplistic and unrealistic terms. Some firms fail to identify the true source of competition; others underestimate the capabilities and reactions of their competitors. When the business climate is stable, a shallow outlook toward the competition might work, but in the current environment, a business strategy is really competitively oriented. The telecommunication sector in Bangladesh is the most attractive and booming sector at present. The concept of mobile telephone has become largely familiar and astonishing in our country since early 90’s with the ongoing technological advancement. Since then the entire mobile phone companies are trying to attract their subscribers through various worthwhile offers. Now Bangladesh has stepped into the world of first communication and communication is made easy and comfortable through the introduction of mobile phones. In our developing economy, mobile phone industry is one of the fastest growing areas as we can see that the numbers of subscribers are increasing day by day. So the rising demand says that it will continue to develop vigorously for the near future. In the telecom sector of Bangladesh the competition is really strategic oriented competition. Studied deployment of resources based on a high degree of insight into the systematic cause and effect in the business environment. Ever changing technological advances in the technological industry, customer demand and the scope of investment in this sector has made Bangladesh a profitable target for various multi national companies to setup mobile companies here. Currently, there are six operators in Bangladesh. Among them, TeleTalk Bangladesh Limited (TBL) is the only government owned telephone operator and the other five are privately owned companies namely Robi, GrameenPhone Ltd, BanglaLink, Citycell, Warid. Robi’s major competition comes from all the five companies mentioned above. All the companies are aggressively marketing their product. Especially after Orascom has entered the Bangladeshi market, it has given the competition a new edge. The customers are looking for the best buy with bundled features & low price talk time. According to the website of BTRC The total number of Mobile Phone Active Subscribers has reached 61.845 million at the end of July 2010. Consumer demand in Bangladesh makes the mobile and telecom market one of the fastest growing markets in the world. During the first six months of 2007, Bangladesh recorded 7.7 million subscribers, and by the end of that year around 35 million subscribers (a market penetration of 25%) was recorded, signifying year-on-year growth of 70%. Business Monitor International (BMI) has predicted that by the end of 2011, mobile subscribers will reach figures of around 115 million. Quality of customer care system. Main competitor has a congested network because of its unplanned customer growth. Public sector unable to meet demand. Product with very long life cycle. Possible health risk for using mobile phone. To complete my internship I was assigned in the corporate business department of Robi under market operation division. I was mainly associated with small corporate business. To make sure better service to the valued potential corporate clients for their emergency needs and acquiring potential corporate clients for corporate offers of Robi and generate revenue for the company. Corporate business division of Robi works as an entrance where the development and execution of all the strategic issues observed and maintained in order to facilitate the management to achieve business goal by keeping keen relation with the employees and the target customer base. Resource management ensures the allocation and planning of responsibility and schedule management of the work power deployed in the department. Resource management also deals with a corporate post-paid, pre-paid SIM and other demanded products for the corporate clients. Small and large corporate teams are basically divided in to two different groups. Around 35-40 designated employees are deployed for the both task from the department. These group members are basically lead by a head of the team. Small and large corporate teams are assigned to generate corporate clients in a various places of our country and especially in every zone of Dhaka city. Revenue monitoring teams of corporate business department updated with a weekly revenue generating status from the corporate clients.